The Cambridge SoundWorks name has long been synonymous with high-quality audio products. 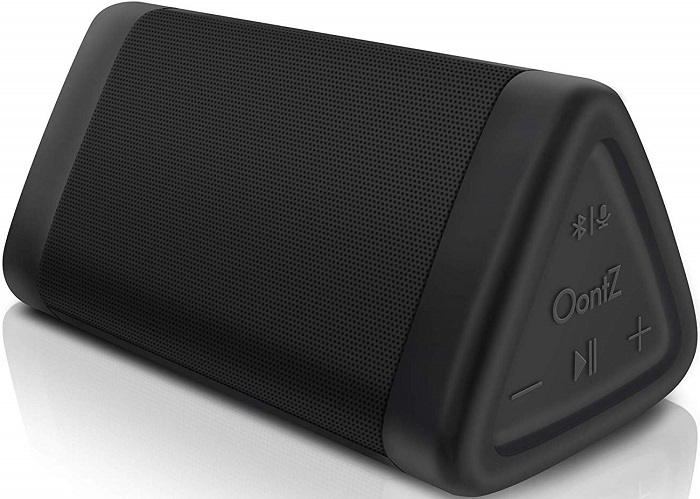 So if you are looking for a cheap yet good Bluetooth speaker, then OontZ Angle 3 is your best choice. In our list of Top 10 Best Bluetooth Speakers, it ranked at #3. OontZ Angle 3 comes with a triangular design, which can be stood up vertically or laid down horizontally. The size is quite compact, measures 5.3 x 2.8 x 2.6 inches and weighs only 9 ounces. 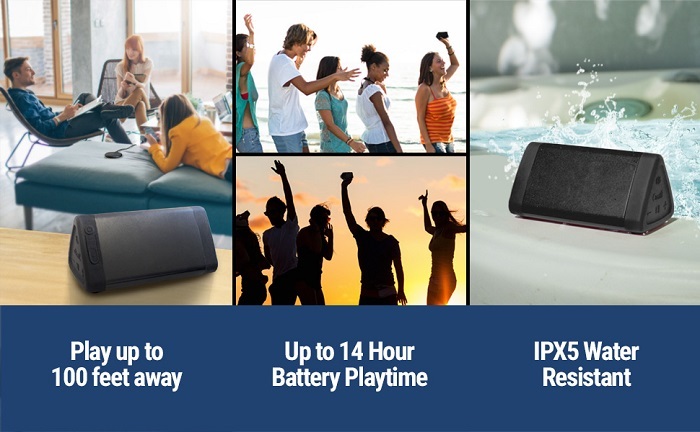 As for durability, it comes with IPX5 rating means this Bluetooth speaker is splash-proof, rainproof, dust-proof, and sand-proof. The 2-inch rubber strips set into the recesses on the bottom of the speaker provides more resistance to moving forces and is perfect for long distance car rides. This portable Bluetooth speaker is available in 3 color options - Black, Blue, Red. 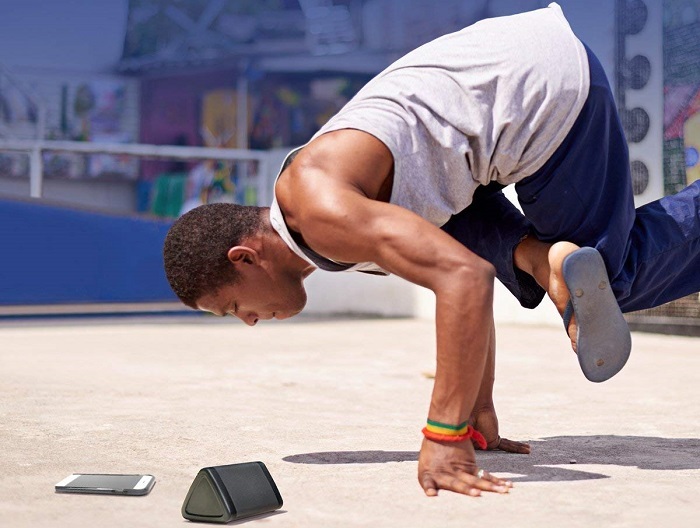 In terms of sound, OontZ Angle 3 deliver the same sound quality as JBL Flip 4 ($79) or UE Wonderboom (79.40), which both are much more expensive. The sound comes with maximum volume output of 10 Watt and reasonably good in the midrange and vocals came across sounding pretty natural. The Passive Bass Radiator offers better bass quality. If you place it bottom down, the bass effect is more pronounced. If you want a little less bass, you can make it stand on its end. The speaker's DSP (digital signal processor) limits the maximum volume and also strips out certain frequencies to prevent the speaker from distorting. There is also a built-in microphone that can be used as a speakerphone and it performs admirably. 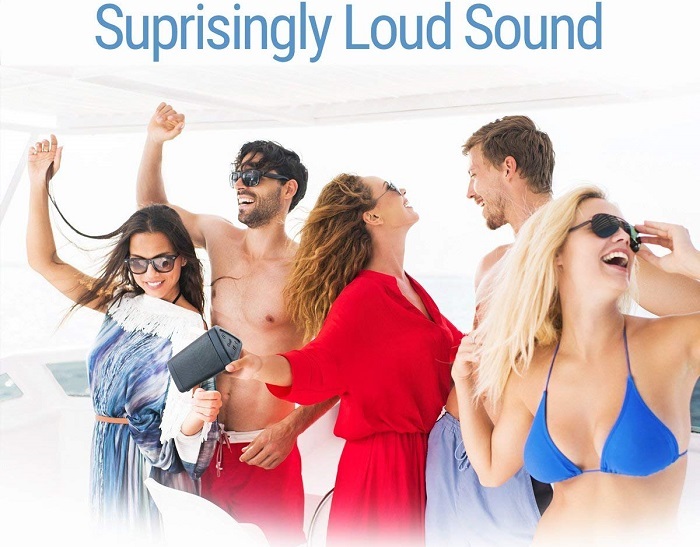 The Bluetooth connectivity connects from one device to another (iPhone, iPad, iPod, Samsung, Kindle, Smartphones and other Tablet devices) effortlessly. To support its performance the battery can be used for up to 14 hours. • Uses universal micro-USB charging. • Feels a little lightweight and thin plastic. OontZ Angle 3 by Cambridge Soundworks deliver fairly rich sound despite its small size and relatively low price. It also has excellent battery life, is water-resistant and has speakerphone capabilities.